SYR (SIRE) is a Celtic Folk Rock band from Columbia, SC. 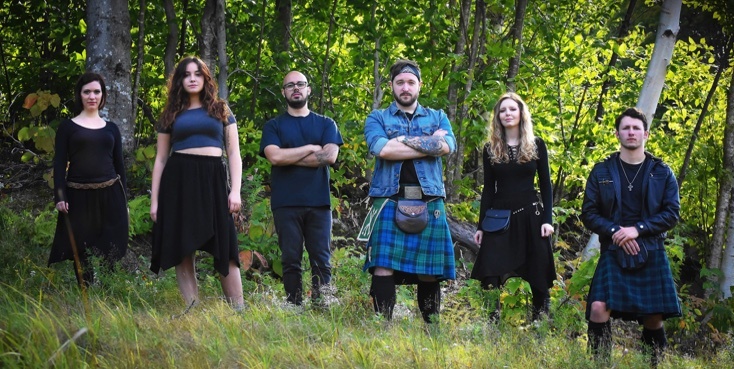 Taking inspiration from Celtic history, stories and myth, SYR blends their various unique backgrounds to create powerful songs with themes like battle, love, loss, heritage and victory. From humble beginnings at pubs and local venues, SYR has become a welcome addition to larger Celtic festivals and events, building a reputation for a high-energy performance. Their music is played regularly on Celtic radio programs across the US and internationally via CelticMusicRadio.net. The band consists of siblings Kyle (lead vocals, guitar) and Laurel MacCallum (vocals, percussion), Emily Bracey-Neff (violin), Kelly Huff (bass), Luis Valverde (drums) and Ben Campbell (guitar).